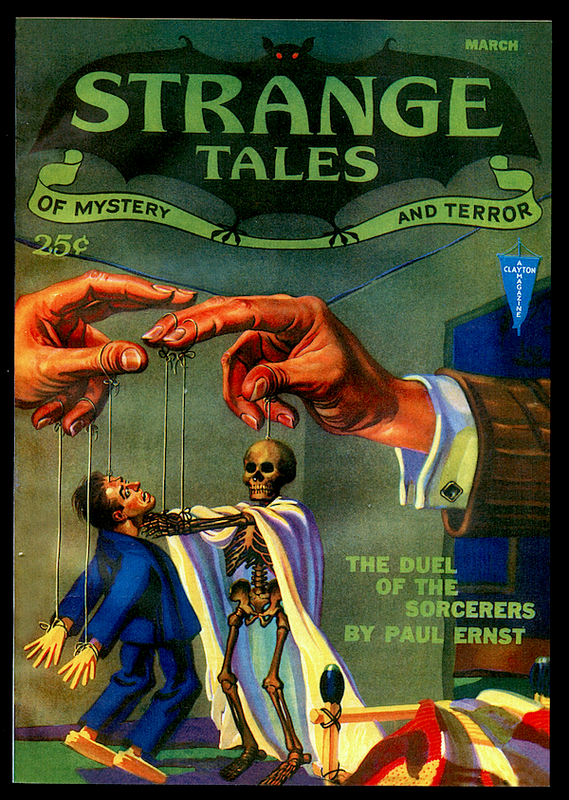 Strange Tales (Clayton, 1931-33) was a worthy rival to Weird Tales as a repository of pulp fantasy, mystery, and horror. 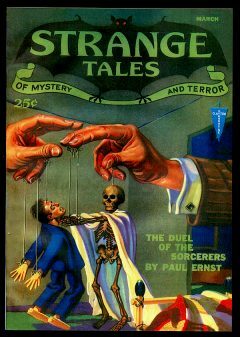 It maintained a high level of quality and published stories by most of the Unique Magazine’s top contributors: Robert E. Howard, Clark Ashton Smith, Henry S. Whitehead, Hugh B. Cave, Jack Williamson, Paul Ernst, and August Derleth, among others. We’re selling the Girasol Collectibles facsimile editions of all seven issues, the complete set. Girasol’s pulp facsimiles were assembled by hand and therefore relatively few copies were produced. Now out of print, they’ve become collectible items in their own right. These copies are unread and in As New condition.